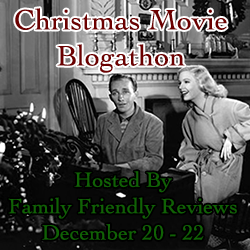 NOTE: This review is part of the Christmas Movie Blogathon being hosted this weekend at Family Friendly Reviews. 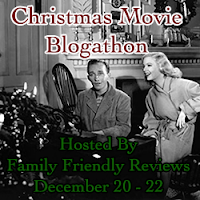 Please visit the Family Friendly Reviews site for links to posts on many beloved Christmas movies. Day 1 of the three-day blogathon is here and Day 2 is here. And here is Day 3! WHITE CHRISTMAS is not simply one of my favorite Christmas movies, it's one of my favorite films of all time. I watch it nearly every year, yet I had never seen it on a big screen until I had the opportunity to catch a special screening at the local Cinemark theater last Thanksgiving weekend. Having read of some other bloggers' negative experiences with digital screenings of classic films at multiplexes, I was prepared to be disappointed, but I couldn't have had a better experience. Other than a couple very grainy minutes early in the film, starting in the army hospital scene, the movie looked absolutely beautiful, and a nice-sized audience of all ages turned out to see it. The audience was quite appreciative, and when the lights came up at the end I noticed a couple people sitting near me had obviously teared up in the last scene, just as I always do. WHITE CHRISTMAS is one of those movies, like MARY POPPINS (1964) and THE SOUND OF MUSIC (1965), which is almost hard for me to write about. It's a film I've known my entire life, and though I love it as a film, it also represents decades of memories of the experiences seeing it, which are heightened because the movie was always seen at Christmastime. Happily, I've now made another wonderful memory with WHITE CHRISTMAS. 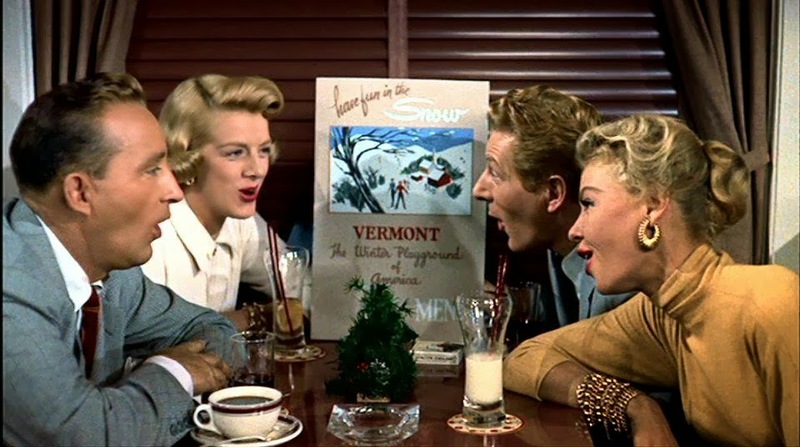 For those who might not have seen it yet, WHITE CHRISTMAS tells the story of two entertainers, Bob Wallace (Bing Crosby) and Phil Davis (Danny Kaye) who accompany a lovely pair of singing sisters, Betty (Rosemary Clooney) and Judy (Vera-Ellen) to a Vermont lodge where the girls are booked to perform during the holidays. Upon arrival, it's discovered that the lodge owner (Dean Jagger) was Bob and Phil's revered commanding officer during WWII, and what's more, the lodge is struggling due to no snow and thus no guests. Bob and Phil come up with an idea to turn things around at the lodge by bringing the cast of their latest show to Vermont for rehearsals; simultaneously they juggle romantic complications with Betty and Judy. The plot of this 120-minute film may sound simple, but it's executed with charm and style by a perfect cast. The line readings alone simply couldn't be better; I suspect most of my family could probably recite all of the dialogue along with the soundtrack, getting the cadences and phrasings just right. Really, everything about the entire movie is just right, from the choreography by Robert Alton to the costumes by Edith Head and the cinematography by Loyal Griggs. Everyone's work on this film has stood the test of time, and in fact the film has become a part of many people's holiday traditions. 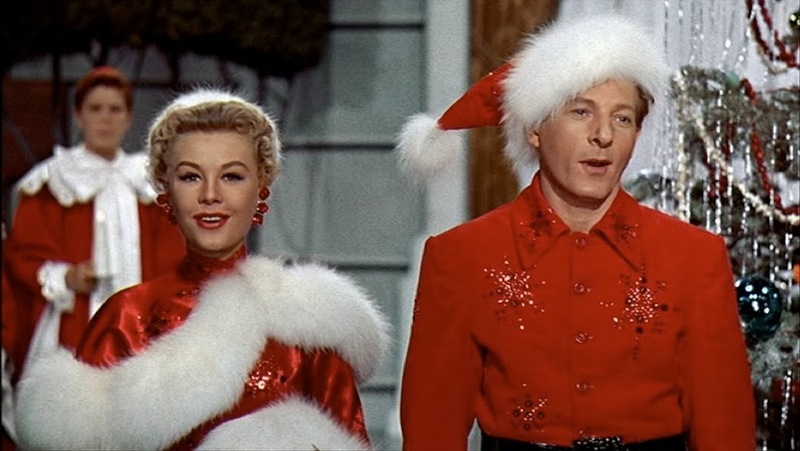 For Danny Kaye and Vera-Ellen, WHITE CHRISTMAS marked a reunion, years after they costarred in WONDER MAN (1945) and THE KID FROM BROOKLYN (1946) for Samuel Goldwyn. Their number "The Best Things Happen While You're Dancing" is just one of a succession of beautifully staged musical sequences, which include the classic "Sisters," sung by the ladies and hilariously reprised by Bob and Phil; Clooney's "Love, You Didn't Do Right By Me," sung in a fantastic black gown; Crosby crooning "Count Your Blessings" to Clooney by a late-night fire; and of course the classic title song, which bookends the film. As I mentioned, that last scene, with the cast singing "White Christmas" as the stage door is opened to reveal falling snow, always induces happy, nostalgic tears. For my money, the film may not get any better than the simply staged "Snow," sung by the lead foursome in a dining car on the way to Vermont. It's simply classic. Vera-Ellen is dubbed by Trudy Stevens. Vera-Ellen has a couple more wonderful dance opportunities, including "Abraham," where she's partnered by John Brascia, who passed away earlier this year. Dancer George Chakiris, who appears in the film, shared an interesting WHITE CHRISTMAS anecdote at a recent tribute held in his honor. Chakiris had just completed shooting the big group dance number "Mandy" when he got a call from his friend, dancer Matt Mattox, insisting that he come over to "Metro" and audition for Michael Kidd for SEVEN BRIDES FOR SEVEN BROTHERS (1954). Chakiris somewhat ruefully admitted he had no interest in SEVEN BRIDES because he knew he had the chance to be one of four featured dancers in Rosemary Clooney's "Love, You Didn't Do Right By Me" in a couple more weeks and he really wanted to do that number! After receiving a second call from Mattox, who played Caleb in SEVEN BRIDES, Chakiris reluctantly went to MGM and gave Michael Kidd what he described as "the worst audition" of his career. However, Chakiris was happy with how things turned out, as he loved working with Rosemary Clooney on the WHITE CHRISTMAS number. It's interesting to note that with Chakiris not then being a known "face," the producers were comfortable having him be in two places at once in the film, part of the dance company in Vermont while also appearing with Betty at the Carousel Club in New York! The film's supporting cast also includes Mary Wickes, Anne Whitfield, Herb Vigran, Johnny Grant, Percy Helton, and I. Stanford Jolley. WHITE CHRISTMAS was written by Norman Panama, Norman Krasna, and Melvin Frank. 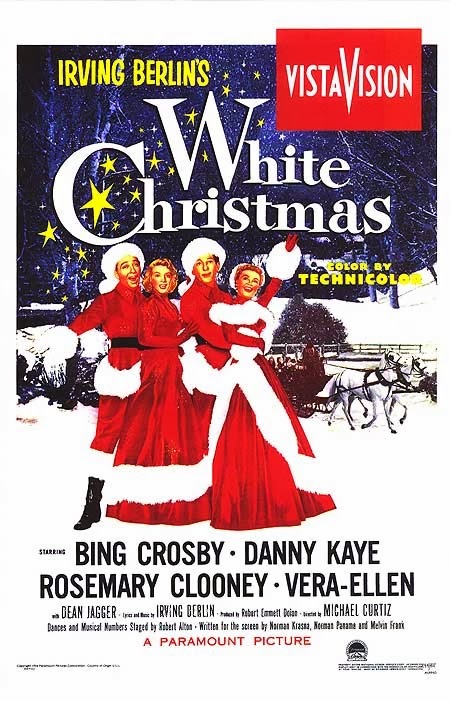 This would be a good place to mention that no matter how many people may try to insist to the contrary, WHITE CHRISTMAS is emphatically not a remake of Crosby's HOLIDAY INN (1942), written by Claude Binyon. 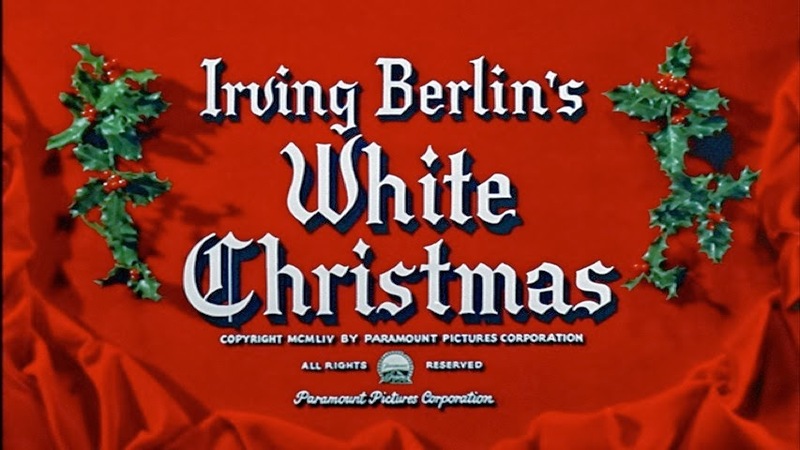 The movies share Crosby, an inn, and composer Irving Berlin, including his classic song "White Christmas." That's it. This film was directed by Michael Curtiz, who worked comfortably in all genres and directed some of the greatest movies ever made. A biography of Curtiz by Alan K. Rode, MICHAEL CURTIZ: A MAN FOR ALL MOVIES, will be out next year from the University Press of Kentucky. Fans of WHITE CHRISTMAS will want to visit Hooked on Houses for a detailed look at the movie's Columbia Inn sets, as well as check out Kim's post at GlamAmor on Edith Head's costume designs for the film. WHITE CHRISTMAS is available on DVD and Blu-ray. The DVD can be rented from Netflix and ClassicFlix; ClassicFlix also rents the Blu-ray. The movie can be rented for streaming from Amazon and Netflix. WHITE CHRISTMAS also was released on VHS. I consider WHITE CHRISTMAS, which will be 60 years old next year, to be the perfect Christmas movie. Most highly recommended. August 2018 Update: I had the chance to see this favorite film in 35mm at UCLA. One of my favorites. Like you, a childhood experience that remains evergreen in memory, and like a favorite ornament, no Christmas is complete without it. 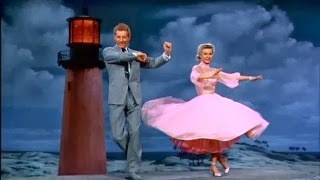 Once, in Florida, when spotting a lighthouse down the beach, my brother and I simultaneously chuckled and started singing "The Best Things Happen While You're Dancing" because the image reminded us of the scene in the movie. And riding northbound trains back to my home in New England will call to mind the trains scenes, including someone uttering the inevitable remark, if it's warm and sunny when we arrive: "Must still be in Carolina." Thank you! It drives me nuts when people say it's a remake. WHITE CHRISTMAS is its own separate thing. Like you I absolutely love WHITE CHRISTMAS and watch it at least a couple of times each holiday season. This year I saw the movie twice at my Cinemark theater, in fact, and it was even more fun watching with an appreciative audience. It's one of the most enjoyable movies ever, as far as I'm concerned. I never get tired of it. 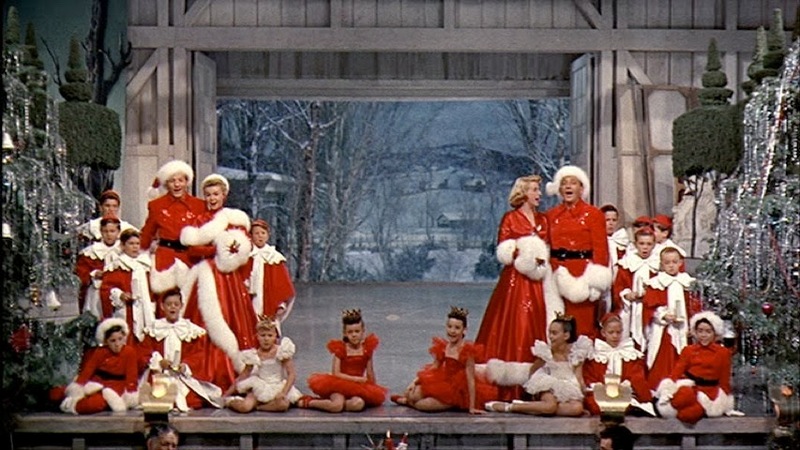 In addition to the Hooked on Houses and GlamAmor links you mentioned, Kay at Movie Star Makeover wrote an interesting post about Vera-Ellen, focusing on her role in WHITE CHRISTMAS. I hope you and your family have a very Merry Christmas, Laura! Despite my abiding fondness for Mr. Crosby I was never what you would call much of a fan of the movie "White Christmas". Oh, I liked it alright, but must have felt it to be in competition with my beloved "Holiday Inn", so it never rose to must-see status for me. 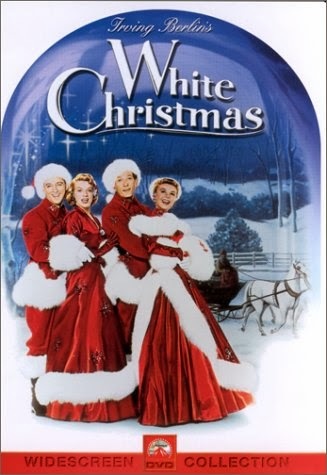 When my daughter was 11 years old we caught "White Christmas" on TV and she declared it to be the best Christmas movie because there were no kids and no miracles, just some nice people wanting to do something special for someone they loved. So, I had to take a fresh look at the movie and now am free to enjoy all the wonderful things you wrote about in your grand article. Merry Christmas! Chakiris had a lovely anecdote to share! I was surprised when White Christmas, the song, was introduced in Holiday Inn, because I happened to watch the 1942 movie first. THere is no Christmas without this song, not even for a Brazilian like me! 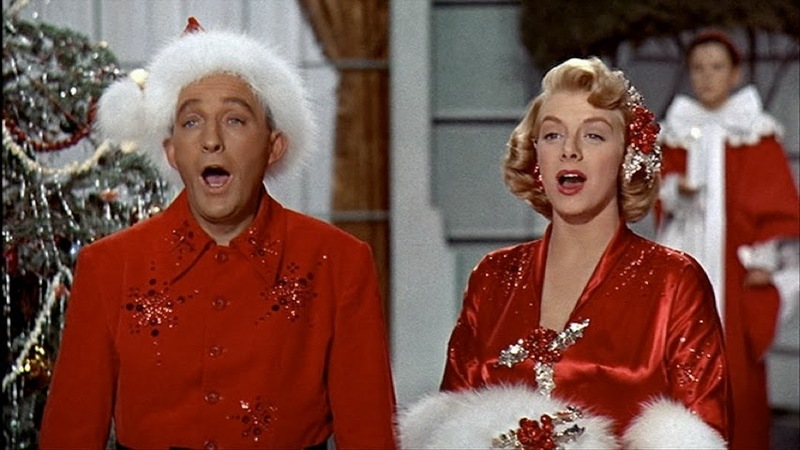 Here, for the second year in a row, a Bing Crosby film will be on tV near Christmas: Blue Sky. I don't believe this will become a tradition, but I'm glad because I love this film! Lovely review,Laura. As you say, the perfect Xmas movie. The musical numbers are so good. I love Rosemary's "Love,You didn't do right by me" and that dazzling "Mandy" number. I'm afraid I always think Vera Ellen looked terribly thin, though she danced up a storm. I somehow missed out on this film until relatively recently, but must agree that it is a perfect Christmas film - and Bing's singing is fantastic. Enjoyed reading this, Laura. So nice to hear from so many people about a movie I really love! Jacqueline, your memories are wonderful. I LOL re "Must still be in Carolina." It reminds me of a much later movie, YOU'VE GOT MAIL, in that it's such a quotable movie and much of the dialogue has worked its way into our lives. MC, glad to help undo the myth that WHITE CHRISTMAS is a remake. We have a local radio host who drove us nuts insisting it was a remake, and that's just one example. *Thank you* for linking to Kay's wonderful post of last Christmas on Vera-Ellen!!! I hope everyone will check it out. Caftan Woman, so glad you got to know WHITE CHRISTMAS and enjoy it now too. I just pulled out my VHS tape of HOLIDAY INN to hopefully watch this week! Le, I loved knowing that Bing Crosby and Christmas go together even in Brazil!! I haven't seen BLUE SKIES in a long time. I'll definitely check out your blogathon post! Judy, I'm delighted to know that you now enjoy WHITE CHRISTMAS too. Among all the excellent Christmas movies I watch, this one is my most favorite "feel good" movie.